There are many Shad Dart patterns on the internet and this is my adaptation of the popular pattern. I believe the Shad Dart was modeled after the small jigs that spin fishermen use with the same name. I like to keep shad flies simple, as there is a good chance you are going to lose some of them to river bottom structure. After all, you will be fishing these flies as close to bottom as you can. When you lose flies, you want to be able to come home and tie up a mess of them quickly. Overall, there is nothing drastically different about this version of the Shad Dart. I really only replace the tailing material with kip tail, as its size is perfect for shad flies, and it creates a wispy profile of a small baitfish or shrimp. 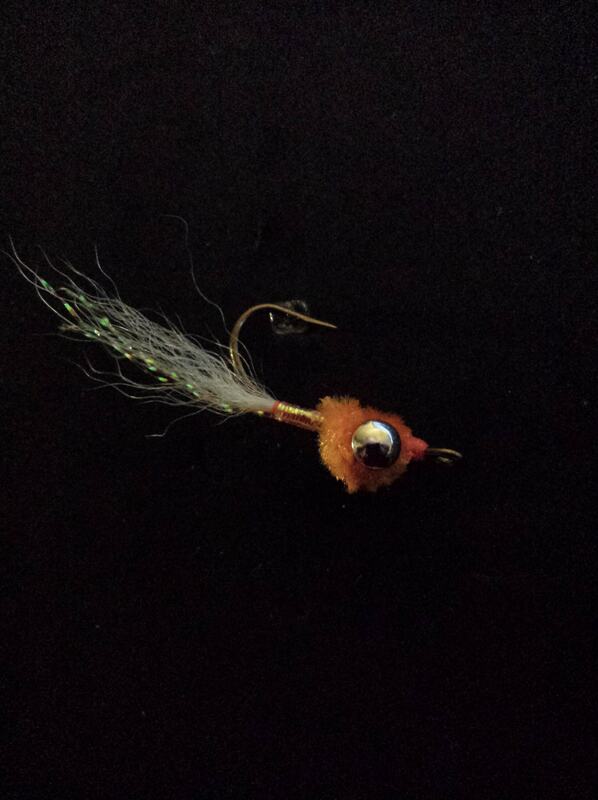 The original version of the shad dart that I learned to tie called for a marabou tail. Marabou is typically used because when the fly is at rest, it opens naturally and creates lifelike movement. My problem with marabou in this particular fly is that Shad Darts are typically tied on size #6 or #4 flies, and the amount of marabou that you end up attaching is too small to make any real difference in impersonating a live organism. My other problem with it is the fly is actually rarely at rest the way I fish it (on the swing and then retrieving with a figure of eight retrieve,) so the modest amount of marabou on the tail never really has a chance to open on a pause, and then close again on a strip. What really happens, is the material compresses, then stays there, and you end up with a profile which is minimal compared to the kip tail which maintains its form in motion. Marabou is also much more susceptible to fouling the hook than kip tail, even in modest lengths, and therefore much more likely to ruin a presentation to a fish that would have otherwise taken the fly. This version of the shad dart is my second favorite fly for shad fishing. If I am not catching fish with the Kip Tailed Clouser, the Shad Dart is my fallback pattern and has caught many shad, as well as several other species.